Let’s be honest: it’s cold out and all we really want is warming comfort food at the moment. January badly needs some colour so I’ve been making batches of these carrots to help power me through the grey days. They’re mapley-sweet, warm and have a certain creaminess to them that just makes me feel better about everything! I recommend this as a side dish. 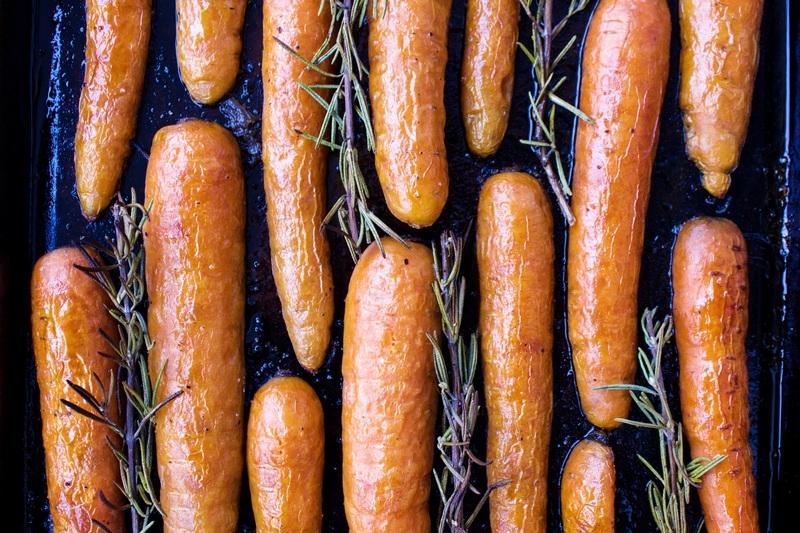 The carrots pair really well with anything roasted or are great on their own as a snack. Coconut oil is one of my favourite ingredients here, as it’s a healthy oil for roasting (it can tolerate high temperatures without becoming unstable) and is slightly sweet and creamy, which makes it perfect for roasting carrots. The maple syrup lightly caramelizes the carrots and makes them incredibly moreish! Pre-heat the oven to 400°F or 205°C. 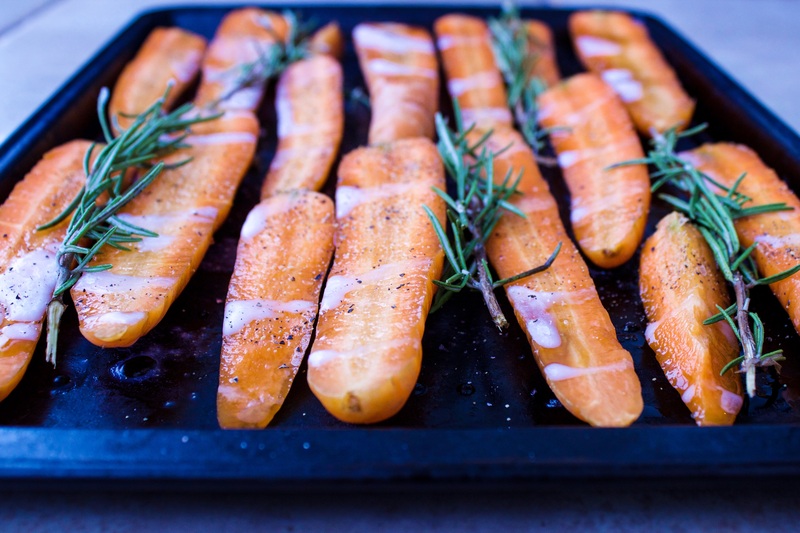 Slice the carrots in half lengthways and place on a baking sheet. Brush over melted coconut oil and maple syrup, and season to taste with salt and pepper. Place rosemary sprigs at equal intervals between the carrots. Bake for 20 minutes, until carrots are tender, sizzling and colourful. Best enjoyed hot!